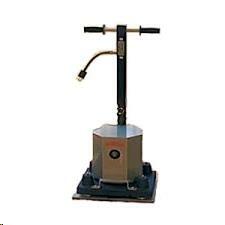 Sander, Orbital Floor 12" x 18"
APPLICATIONS: GREAT FOR DECK REFINISHING/SANDING. CLEANING & POLISHING LINOLEUM FLOORS. CLEANING & WAXING HARDWOOD FLOORS. * Please call us for any questions on our sander orbital floor 12 inch x 18 inch rentals in Langley, also serving Clinton, Freeland, Greenbank, and Coupeville.